CINCINNATI – Hamilton County prosecutor Joe Deters has gone from participating in real-life courtroom dramas to appearing in one on the big screen. 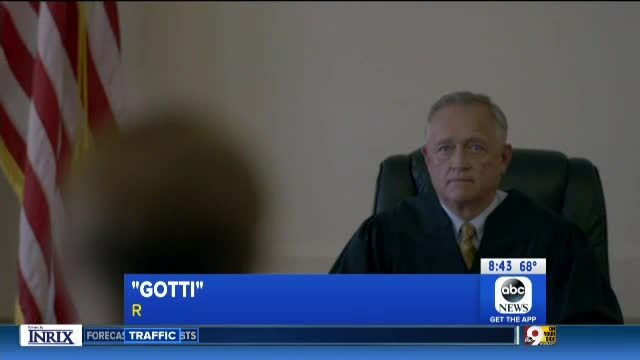 Deters appears to have traded in his suit and tie for judge’s robes in a Good Morning America segment about the upcoming mobster movie “Gotti” that aired on Monday. Production company Emmett/Furla/Oasis Films filmed the majority of “Gotti” in Cincinnati in 2016. The movie will hit theaters this Friday. Deters showed up in a clip from the movie before GMA host Michael Strahan interviewed actress Kelly Preston. Preston plays Victoria Gotti in the movie, which tells the life story of notorious New York crime boss John Gotti Sr. The actress’s real-life husband John Travolta portrays John Gotti in the film. In the clip that aired on GMA, Deters sits in black robes behind a bench as Victoria Gotti interrupts court proceedings involving her son John Gotti Jr., who is played by Spencer Rocco Lofranco. Film crews shot scenes for “Gotti” in Finneytown and Downtown. The Queen City stood in for various New York City locations in 1970s and 1980s. John Gotti Sr. died from cancer in 2002 while serving a life sentence. “Gotti” premiered May 15 at the Cannes Film Festival in France.